To celebrate the publication of the 53rd issue of the Millennium Film Journal, the Film Workshop will be screening a selection of films that are discussed in the journal. The full lineup of films as well as the table of contents are listed below. Each issue of the journal is dedicated to a particular theme. Issue #53 deals with the subjects of migration and dislocation. Articles include reviews of the 2010 New York Film Festival’s Views From the Avant-Garde section and of the excellent Treasures IV: American Avant-Garde Film 1947-1986 DVD box set. Plus, there are interviews with filmmakers Peter Rose and Vincent Grenier, who each have a film screening, as well as tributes to the late Tom Chomont and Gary Beydler, who are both also represented with a film at this event. 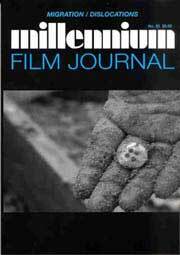 You can order a copy of the Millennium Film Journal #53 here. Also, with the exception of the first issue and #16, you can order all back issues of the journal.